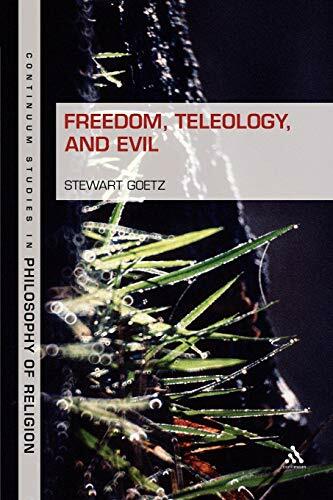 In Freedom, Teleology, and Evil Stewart Goetz defends the existence of libertarian freedom of the will. He argues that choices are essentially uncaused events with teleological explanations in the form of reasons or purposes. Because choices are uncaused events with teleological explanations, whenever agents choose they are free to choose otherwise. Given this freedom to choose otherwise, agents are morally responsible for how they choose. Thus, Goetz advocates and defends the principle of alternative possibilities which states that agents are morally responsible for a choice only if they are free to choose otherwise. 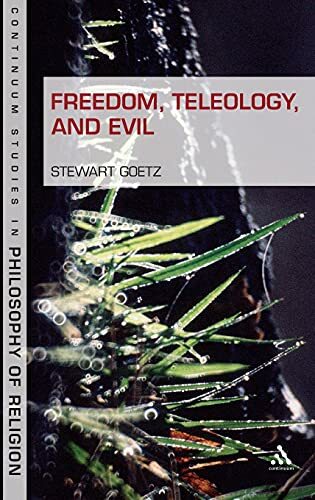 Finally, given that agents have libertarian freedom, Goetz contends that this freedom is integral to the construction of a theodicy which explains why God allows evil. Stweart Goetz presents a thought-provoking defence of the existence of libertarian freedom of will, arguing that choices are essentially uncaused events with teleological explanations. Stewart Goetz is Ross Frederick Wicks Distinguished Professor in Philosophy and Religion at Ursinus College, PA, USA. He is co-author with Charles Taliaferro of Naturalism (Eerdmans, 2008) and A Brief History of the Soul (Blackwell, 2011). He serves on the board of directors for Blackwell's Philosophy Compass.